it were clipped with shears and carted away on Monday. who have pushed for it to remain a shrine to eternal love. Cielo (Three Metres Above The Sky) by author Federico Moccia. we need to respect that," he said. time in a bid to beautify the area. throwing their keys into the river. Cultural Assets Supervisory decides what to do with them. 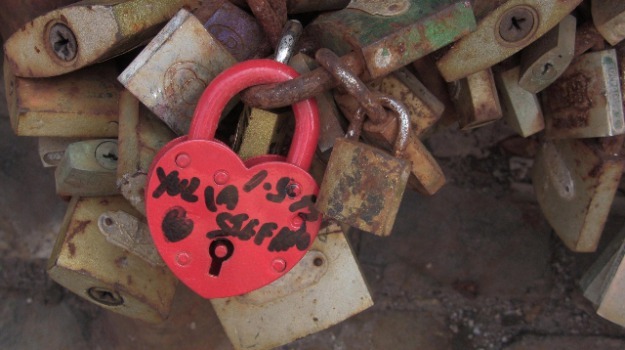 locks' and enable young people to share the love stories. officials stepped in and banned the practice.